Does shoulder pain prevent you from climbing? If so, this article is for you. If you don't have shoulder pain, you could also benefit from strengthening your rotator cuff for improved climbing performance, and injury prevention. 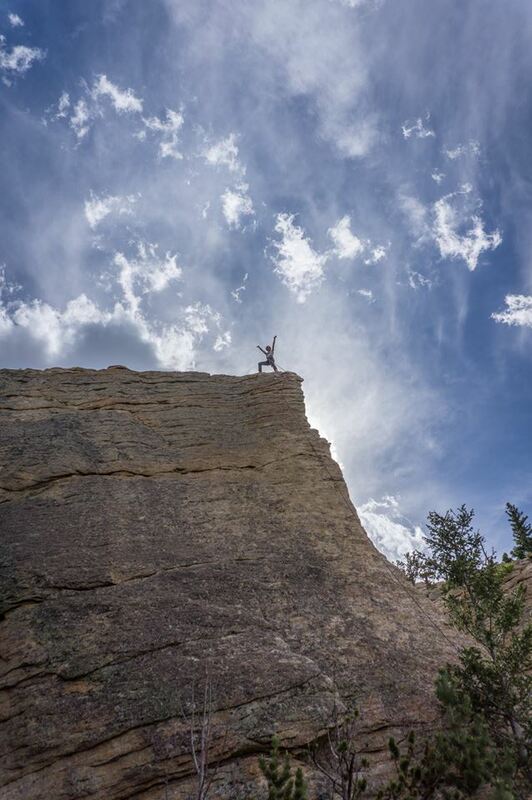 If you're a climber in the Fort Collins, Colorado area, looking for some awesome sport climbing, Jurassic Park is the place to go. Only an hour from town, Jurassic Park is comprised of large granite cliffs directly above Lily Lake. A short hike from the parking lot gives you access to dozens of sport-climbing routes ranging in difficulty from 5.6-5.12. The featured route on the cover of the guidebook is called The Edge of Time, 5.9. This route touts run-out slabby arete climbing on a giant fin. During the climb you can peak around the arete to gaze at the Longs Peak massif towering over the valley. 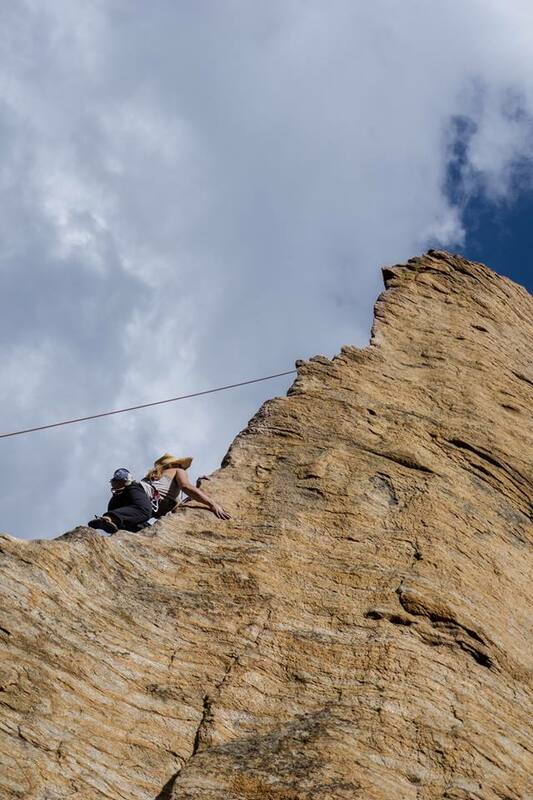 This is probably one of the most photogenic climbs in Northern Colorado, but don't be fooled by its rating. The route is 85 feet tall with only 4 bolts and a piton for protection, making ground-fall potential very likely when climbing through the crux in-between the first and second bolts. Rotator cuff tears and impingement are common injuries with anyone who is performing repetitive overhead movements, especially climbers. Pain can occur in the shoulder with reaching overhead or across the body, and can refer down the arm as well. The tendons of the rotator cuff pass through a bony tunnel between the top of the shoulder blade and upper-arm bone, which is held open by the rotator cuff muscles when the arm is raised. Failure of these muscles to keep that bony tunnel open results in a pinching of the tendons, ultimately damaging them over time. Injury can also result from trauma or repetitive uncontrolled stress to the tendons. Research shows that strengthening is effective in restoring range of motion, strength, and reducing pain associated with these shoulder injuries. I encourage you to use these exercises to recover from, or prevent a shoulder impingement or rotator cuff tendonitis. Use the exercises featured in the video above to rehabilitate your already painful shoulder, or to prevent a future shoulder injury. Performing these exercises can also improve climbing performance by improving the strength of the shoulder muscles. Stay tuned for more climbing content. You can follow me on facebook or subcscribe to my newsletter to get updates when I create new content. Thanks for reading/watching and please don't hesitate to contact me if you have any questions at all. Take care and climb strong.